Imagine a game that marries the depth of a great town building game with the downright addictiveness of a clever puzzle game. Welcome to the world Puzzle Craft! 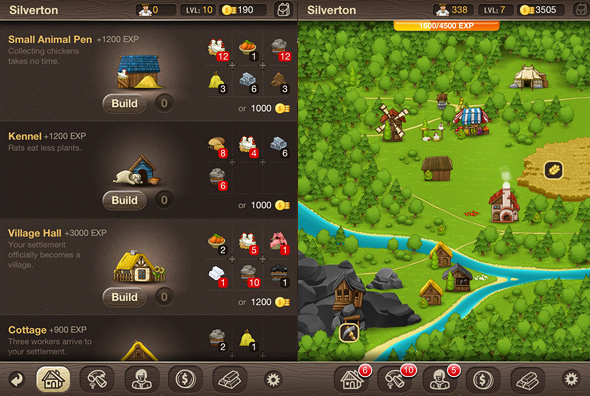 Start with a humble camp in the woods, play and make it grow into a capital of a mighty kingdom. Enjoy the simple joys of farming, work with the rhythm of seasons, harvest crops and rise livestock. 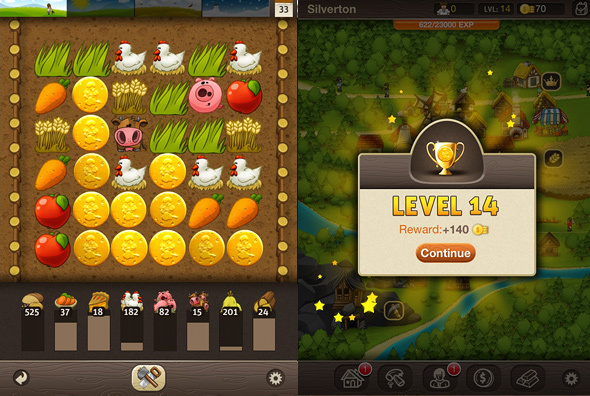 Dig deep into the mine and hunt for the treasures of the earth. 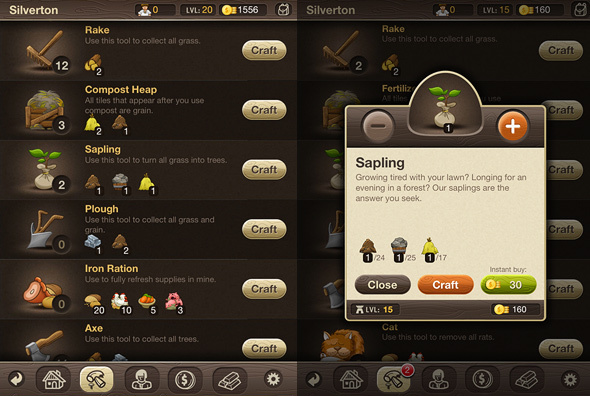 Use the resources you gathered to construct new buildings, hire workers and craft tools. 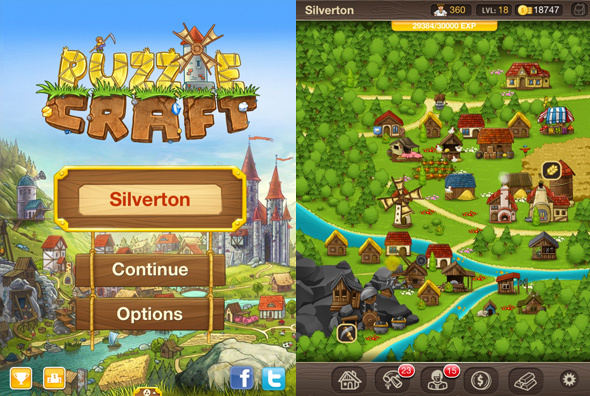 See your village grow. 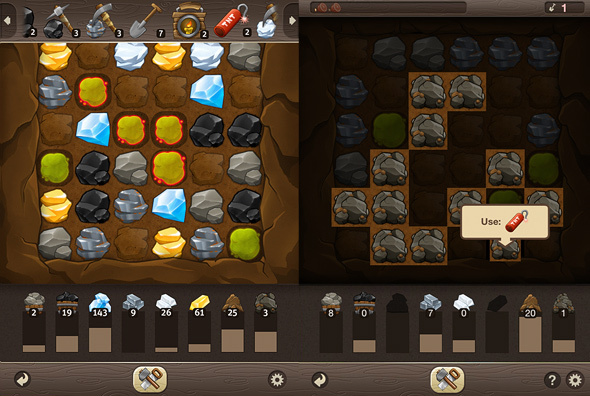 "Appy Award - Best Puzzle Game of 2012"
"Best Polish Mobile Game of 2012"
Welcome to Puzzle Craft! 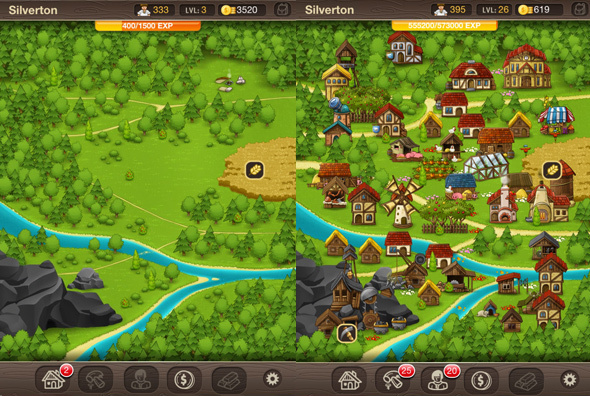 Name your village and enjoy the view. 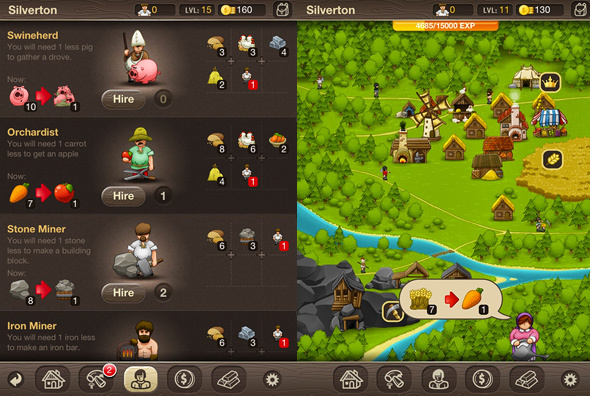 Start with a simple camp in the woods and make it a capital of a mighty kingdom. Ah, the simple joys of farming. 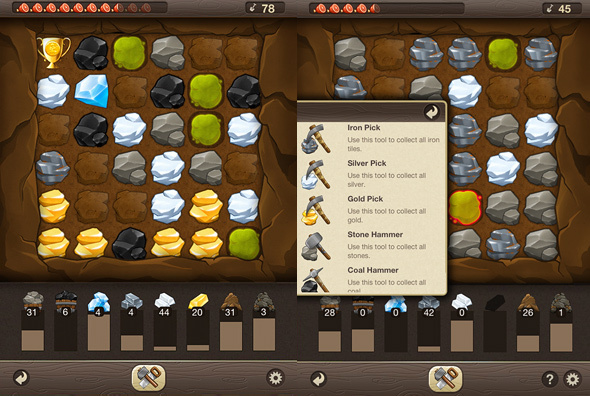 Connect tiles and gather resources. Long chains give you bonuses. Work with the rhythm of seasons. Use tools to gather as much as you can before the year ends. 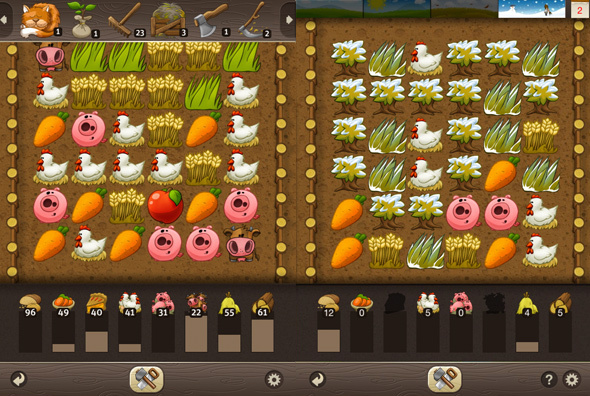 Use the crops to prepare supplies for your visit in a mine. 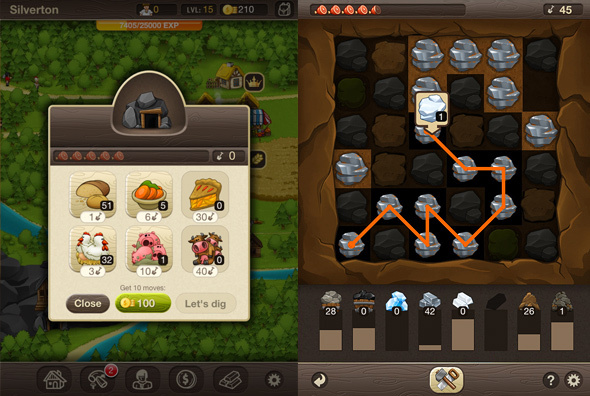 Connect tiles to gather resources. Dig for stones, coal and precious metals, but beware of the exploding gas! Use tools to collect more. Buy new buildings and expand you town. See how with every building the gameplay changes. Hire workers and shape your strategy. Every worker specializes in one kind of a resource. Use tools and show your skill. Gather more than it would be otherwise possible. How deep can you dig? What treasures will you uncover? 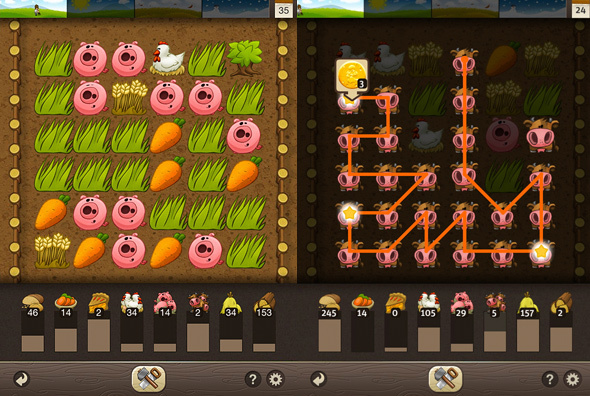 Develop your farming skills from chickens through pigs to cows and more. Learn, gain experience, grow, and have fun! 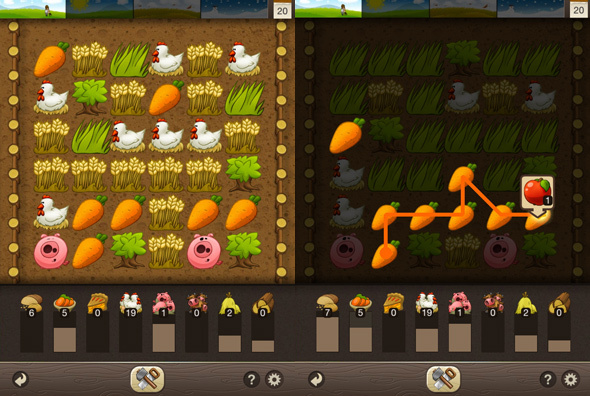 Puzzle Craft is a relaxing Puzzle/Simulation game developed by ATGames and published by Chillingo.